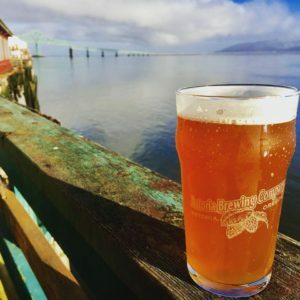 Want to visit Astoria breweries? We have some ideas for you! If you are a beer lover, the city of Astoria has plenty of surprises for you. The number of brewpubs and breweries you will find in this part of the world leaves you in awe. 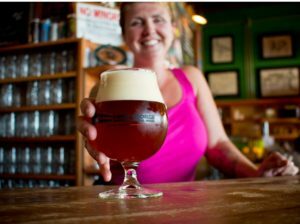 There are so many good sites to grab a pint of good old classic Oregon Beer, making it a wonderful place for beer lovers. Here’s a look at just a few of the locations that you can check out in Astoria. As mentioned earlier, the region is home to the classic Oregon beer. There are so many exciting places in the region where you can get a good brew. Built on the site of an original Astoria settlement, Fort George Brewery is a must-visit for any beer lover. One of the most scenic breweries in Oregon, the Vortex IPA is one of the brews you must taste if you visit “The Fort”, as they call it! Also, during the month of February, Fort George Brewery hosts The Festival of The Dark Arts. Held at its brewery, this event boasts a bold collection of stout beers as the hallmark of the festival. Apart from the brew, other spectacles to witness are tattoo artistry, belly dancing, and tarot card reading. Plus, there is music, art and artists on location to take your breath away during the event! Named after the first ever brewery to be established in this part of the world, the Astoria Brewing Company is a great place for beer lovers who are looking for an assortment of flavors. Brewing more than eight different beers, this location is highly innovative with its flavor combinations. And don’t forget to try the Lincoln Lager, or one of their juicy, citrusy IPAs. Rogue is, and has been for many years, one of the quintessential names in Oregon brewing. For those of you who want to explore the deliciously familiar, Rogue Ales Public House is just the place for you. With their brewery located on Pier 39, you can regale yourself in the tales of seafarers and crew members while sipping a glass of Dead Guy Ale to have that classic feeling of simply relaxing in a comfortable bar. Another thing to keep in mind is that Astoria hosts the Pacific Northwest Brew Cup in September. Here, you can experience a wide range of northwest brews, lip-smacking street food, growler fills, local vendors and plenty of other exciting things! You can see how everything in Astoria is woven around the aromatic brews that come from this region. Are you tempted to visit this area or Oregon and try out some of the most authentic beers on the planet? What’s stopping you? Plan your trip with friends or family and get ready for a journey full of brews and amazing experiences! King Estate Winery: Wine And Dine In Style!